In 1987, 15,800 barrels of toxic waste were illegally exported from Italy to Lebanon, and some of these barrels were dumped in Bourj Hammoud. 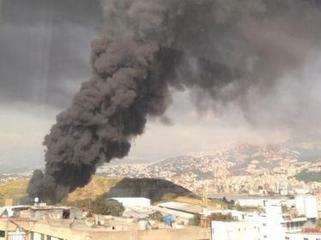 An army report states that 2,000 barrels of this toxic waste were burned at the waste dump of Bourj Hammoud. Another report states that there are actually 5,000 barrels of toxic waste in the landfill (with the possibility of the presence of nuclear waste). The toxic waste consists of the explosive substance nitrocellulose; outdated adhesives, organophosphate pesticides, solvents as well as outdated medication; oil residues and highly toxic heavy metals like lead, mercury and cadmium; arsenic; chlorinated substances; PCBs, and other substances. Hundreds of barrels contained extremely high concentrations of the lethal substance dioxin. Greenpeace reported that these substances can cause skin and eye irritation, and damage the liver, kidney and reproductive systems. 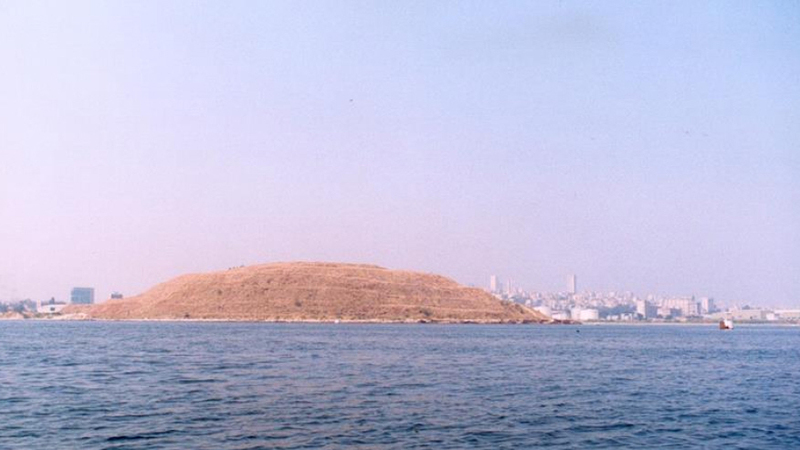 Researchers have identified extreme marine pollution around the Bourj Hammoud landfill, due to solid wastes dumped on the coast, as well as wastewater, oil residues, and chemicals dumped in the sea. Large volumes of gas and leachate are generated from waste decomposition. Why? Explain briefly. Although the landfill was shut down, it was not remediated, and there is now a governmental decision to open another landfill next to the old one (see next case story). A consulting firm, Associated Consulting Engineers (ACE), is involved in a project to rehabilitate the old landfill (LINORD development project). The project plans to solve the problems of soil instability, as well as leachate and gas generation. In addition, it plans to beautify the visual impact of the landfill by transforming it into a district park. 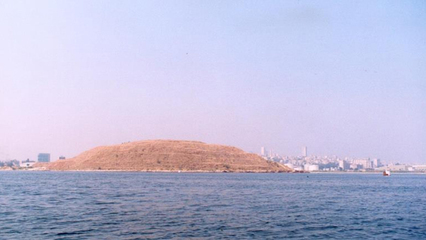 However, measures to solve slope instability include reshaping and lowering the height of the dump, and transporting the excavated waste to the new engineered sanitary landfill near the fishing port. Environmental experts and activists find this extremely dangerous due to the presence of barrels of toxic (and possibly nuclear) waste, which can become a public health crisis if poked, and need a special archeological excavation method. The municipality of Bourj Hammoud and the State are denying the existence of these barrels in the landfill. 10. Shaban, A. (2008). Use of satellite images to identify marine pollution along the Lebanese coast. Environmental Forensics, 9(2-3), 205-214. 4. Masri, R. (1999). Development at what price? A review of Lebanese authorities’ management of the environment. Arab Studies Quarterly, 21(1), 117-134. 8. Abi-Esber, L. & El-Fadel, M. (2012). Economic Viability Of LFG Recovery Under The CDM Mechanism. WIT Press, 163, 83-92. 1. Wilson, Susan. (2015, April 24). Burj Hammoud: Lebanon's Little Armenia. The Daily Star. 5. Support to DG Environment for the development of the Mediterranean De-pollution Initiative “Horizon 2020”: Review of Ongoing and Completed Activities. European Commission. 2006. 6. Yassin, A. (2014, November 26). What is the secret behind Bourj Hammoud waste mountain’s “endurance”? Green Area.